239 Beacon is located on the south side of Beacon, between Clarendon and Dartmouth, with 237 Beacon to the east and 241 Beacon to the west. 239 Beacon was built ca. 1868 for real estate broker and investor Frederick Augustus Whitwell and his wife, Mary Crowninshield (Silsbee) Whitwell. They previously had lived at 159 Beacon. Mary Whitwell’s parents, Nathaniel and Marianne (Devereux) Silsbee, lived at 237 Beacon from about 1870. 239 Beacon was built on a 20 foot wide lot. Frederick Whitwell purchased the western 19 feet of the lot on May 9, 1868, from his brother and business partner, Henry Whitwell, part of a 97 foot wide parcel he had purchased from the Commonwealth of Massachusetts on July 25, 1867. Frederick Whitwell purchased the eastern one foot from the Commonwealth on July 31, 1868. Click here for an index to the the deeds for 239 Beacon. By 1875, the Whitwells had been joined at 239 Beacon by Horatio Greenough Curtis and his wife, Anna Neilson (Winthrop) Curtis. The Curtises previously had lived at 247 Beacon. Horatio Curtis was a shipping merchant in the Calcutta trade. He subsequently was a sugar refiner, agent for the Pacific Guano Company, and president of the Old Boston National Bank. 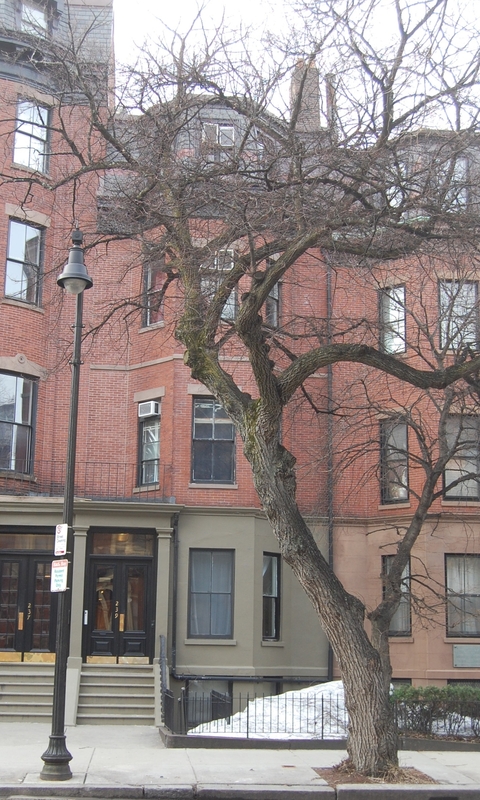 Both the Curtises and the Whitwells continued to live at 239 Beacon in 1876, but by 1877, the Curtises had moved to 45 Mt. Vernon. The Whitwells continued to live at 239 Beacon. The Whitwells had moved by the 1878-1879 winter season, and by the 1879-1880 season were living at 111 Commonwealth with his brothers and sister, Henry S., Samuel Horatio, and Sophia Whitwell. 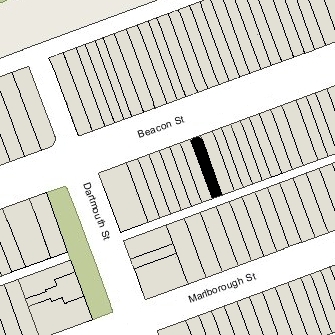 By mid-1880, they were living at 237 Beacon with Mary Whitwell’s parents, Nathaniel and Marianne Silsbee. And soon thereafter, they moved to a new home they had built at 230 Marlborough. During the 1878-1879 winter season, 239 Beacon was the home of Charles Gustavus Lundell, a dealer in Swedish iron, and his wife, Elizabeth (Atkins) Lundell. They previously had lived at the Hotel Vendome, and before that had lived at 235 Beacon. 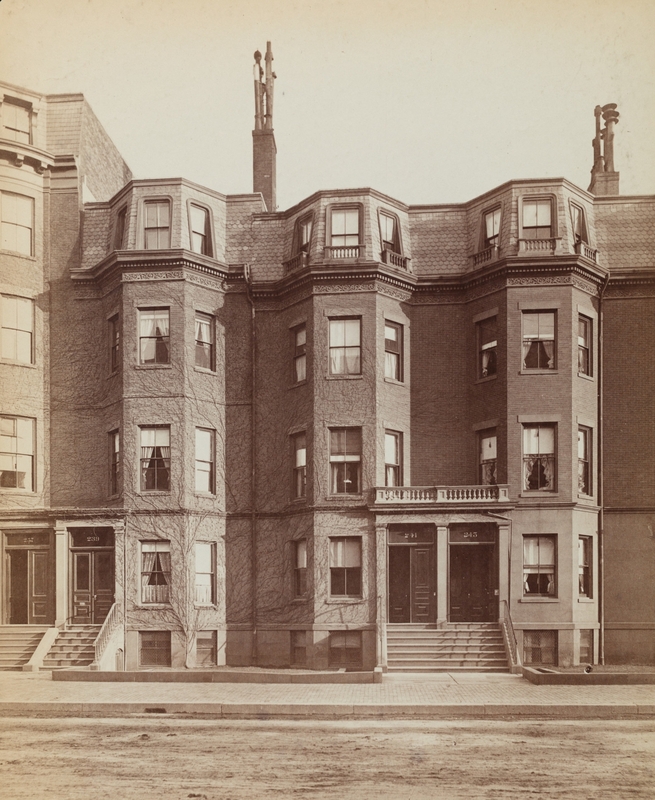 By 1880, they had moved to 30 Newbury. On March 26, 1879, 239 Beacon was purchased from Frederick Whitwell by a trust established under the will of John Adams Blanchard for the benefit of his daughter, Helen Weld (Blanchard) Haynes, the wife of Henry Williamson Haynes. It became Henry and Helen Haynes’s home. Henry W. Haynes was an archeologist and former professor of Latin and Greek at the University of Vermont. Helen Haynes died in July of 1902. Henry Haynes continued to live at 239 Beacon, joined by his wife’s unmarried sister, Sarah Harding Blanchard. She previously had lived at The Abbotsford at 188 Commonwealth. Henry Haynes died in February of 1912 and Sarah Blanchard moved soon thereafter to Brookline. 239 Beacon was not listed in the 1913-1915 Blue Books. On October 10, 1914, 239 Beacon was acquired by Lillior (Lillie) Taylor (Dowling) Nutting, the widow of William B. Nutting. She was the sister of Mark Temple Dowling, a real estate dealer in partnership with James Sumner Draper. On October 15, 1915, she transferred the property to J. Sumner Draper. On June 7, 1915, 239 Beacon was acquired from J. Sumner Draper by Dr. Frederic Jay Cotton. He and his wife, Jane (Baldwin) Cotton, made it their home. They previously had lived in Brookline. They also maintained a home, San Rocco, in Waterbury, Maryland. Frederic Cotton was an orthopedic surgeon specializing in reconstructive surgery, and a professor of surgery at Harvard Medical School. He was founder and regent of the American College of Surgeons. On November 29, 1919, Frederic Cotton transferred 239 Beacon into his wife’s name. Frederic Cotton died in April of 1938. 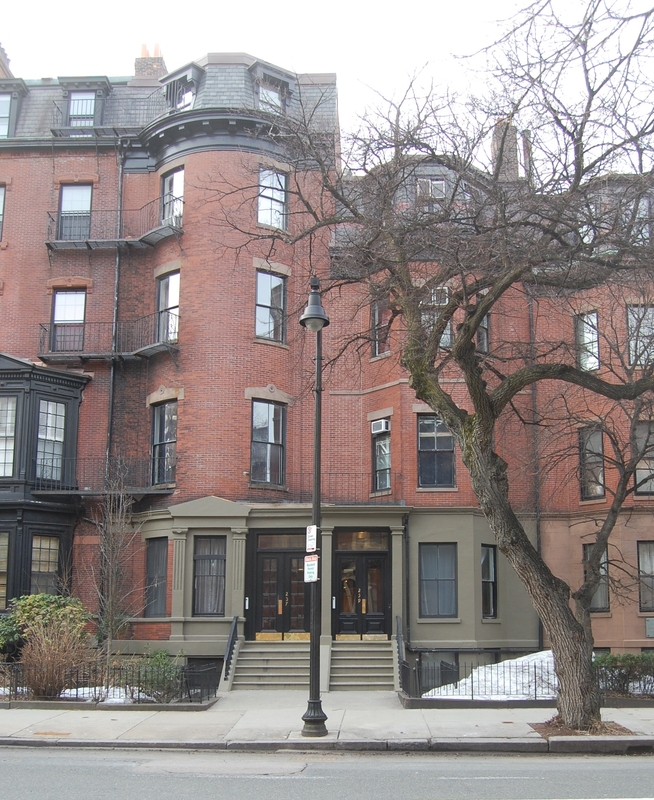 On July 14, 1939, 239 Beacon was acquired from Jane Cotton by Shirley Clifford Speed, a real estate dealer who converted many Back Bay houses into lodging houses and apartments. In May of 1940, he applied for (and subsequently received) permission to convert 239 Beacon from a single-family dwelling into a lodging house. On August 2, 1944, 239 Beacon was acquired from S. Clifford Speed by Elin (Villander) Spongberg, the wife of Nels (Nils) Oscar Fredrik Spongberg. It continued to be a lodging house. The Spongbergs lived at 111 Commonwealth, where they operated a lodging house. On December 3, 1944. 239 Beacon was acquired from Elin Spongberg by Karoline (Riess) DeFelice, the former wife of Frank DeFelice, who operated ot as a lodging house. She previously had lived at 111 Commonwealth as a lodger with the Spongbergs. Among Karoline DeFelice’s lodgers in 1945 was John W. Erlemann, a waiter, who previously had lived at 112 Marlborough. They married in 1946. They continued to live at 239 Beacon until 1955, when they moved to 217 Beacon, where they also operated a lodging house. On October 25, 1954, Karoline Erlemann transferred 239 Beacon into her and her husband’s name. On June 25, 1963, John Erlemann transferred his interest in 239 Beacon to Karoline Erlemann. They separated at about that time and by 1966 he was living at 15 Gloucester. Karoline Erlemann continued to operate 239 Beacon as a lodging house until the mid-1960s. The property subsequently changed hands, and on May 3, 1985, was acquired by Shane A. Cunningham, who also owned 237 Beacon. His Sun Management Company operated both properties as lodging houses. 239 Beacon remained a lodging house in 2016.